Our course will help you to understand the scientific basis of orthodontics. This course is now closed for 2019 applications. "There's a brilliant teaching hospital with excellent consultants. The teaching and support has always been of an extremely high level and I get plenty of clinical experience. "Seeing the changes we can achieve for patients and the effect this has on their self-esteem is hugely rewarding." Learn contemporary orthodontic treatment techniques and understand current thinking relevant to the diagnosis, treatment planning and clinical management of patients. 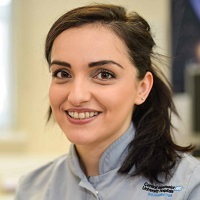 Gain practical experience through attachments at hospitals in the north-west and the University Dental Hospital of Manchester. Learn from tutors who have contributed significantly to orthodontic literature and published research of international standing. Become eligible to sit the Royal College of Surgeons examinations for Membership in Orthodontics (MOrth). Study at a university ranked 4th in the UK and among the top 25 in the world for dentistry (QS world University Rankings 2018).